Because Alzheimer’s and dementia are such devastating and stressful illnesses for the family to cope with, despair often leads to frustration and exhaustion. This can be a particularly emotional and stressful time, as the realisation that the end of life approaches. You should not bear this burden all alone. You cannot and should not attempt to do this on your own. 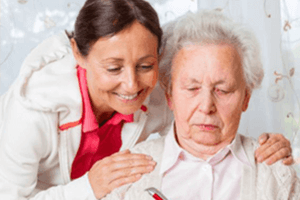 As much as you feel obliged to be the primary caregiver, it is wise to make use of a professional caregiver with expertise in caring for persons with Alzheimer’s. More than ever you need to take care of yourself. Do not feel guilty about taking time off, even getting a caregiver to come in at night so that you are able to get adequate sleep. 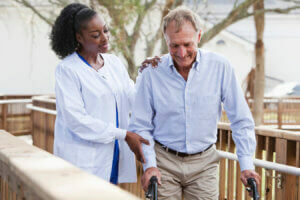 Motor Neurone Disease (MND), also known as ALS, requires specialised care as the symptoms progress and the affected person becomes so ill that full-time care is needed. In addition to feeding, grooming, toileting etc. those living with the illness become increasingly frustrated and this has a very stressful effect on the family. 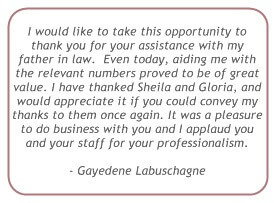 It is essential that family carers get frequent respite and a professional caregiver will lighten the load. Strokes vary in severity and symptoms range from partial paralysis or weakness to total paralysis and loss of speech. Once discharged from hospital the patient can either further their recovery in a step-down centre, or choose to go home. When the latter is the preferred option, it is essential that a qualified caregiver is on hand. In addition to handling all daily living tasks, she can assist with vital exercises as prescribed by a physiotherapist. Taking care of your elderly parents, relatives or friends in your home can be a very rewarding and great comfort for your loved one. It does, however, come with special responsibilities to ensure they are safe and not feeling that they are a burden. Work commitments and other responsibilities, however, often make caring for the elderly very difficult. Engaging the services of a professional caregiver ensures that your parents get the best care. Full recovery from operations or serious illness requires a high level of caregiving. 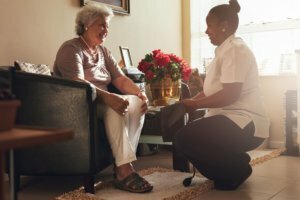 The caregiver is an integral part of the health care team, which could include a physiotherapist, wound specialist and the patient’s doctor. Recovering from home also protects one from the ever prevalent superbugs that could infect retard recovery or worse. 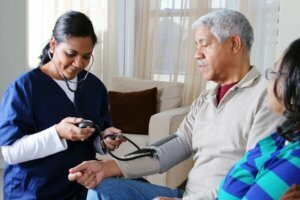 In medicine, nursing and the allied health professions, end-of-life care (or EoLC) refers to health care, not only of patients in the final hours or days of their lives but more broadly care of all those with a terminal illness or terminal condition that has become advanced, progressive and incurable. In conjunction with other health care professionals, a caregiver ensures that your loved one is treated with dignity.